Our highly skilled Land Rover trained technicians at Steve Parkers Service & Repairs Ltd will service your Land Rover Discovery using the approved Land Rover Discovery schedules and approved genuine or original equipment parts to protect your 3 year manufacturer’s warranty. No matter whether you own a Discovery 1,2,3 & 4, we have special expertise in Land Rover Discovery Servicing having been our passion long before the company was founded in 1982. Your Land Rover Discovery will be serviced as per a normal Land Rover Dealers guidelines, however you will save up to 40% with us being an independent Discovery Servicing Specialist. We also follow the Good Garage Scheme service sheets, alongside the Land Rover Discovery Schedules and use Forte fuel cleaners and forte motor flush. Service books can be stamped as we are a Vat registered garage, this is as per block exemption rules brought in 2003 ( that means you don’t have to use a main dealer). Every service schedule has its lubrication points and a full list and report of the Land Rover Discovery’s general condition is carried out as part of the service. We then advise the customer if any further work required now or report any work that will want doing at a later date. This we feel helps customers look after their vehicle and budget for work later. We recommend that any small jobs are carried out as they come along so that a big bill isn’t accrued later. Our aim is to look after our customer’s Discovery so that they have trouble free motoring between servicing. 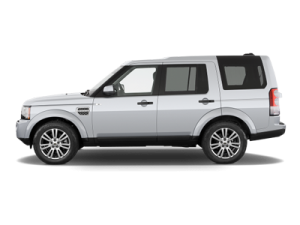 Our Land Rover Discovery’s are serviced by fully qualified Land Rover Discovery skilled mechanics. Your Discover is in safe hands with us. All our customers that have their Land Rover Discovery’s serviced with us leave with nothing but great feedback. BOOK YOUR LAND ROVER DISCOVERY SERVICE ONLINE WITH STEVE PARKERS TODAY!